← Water, Water, Everywhere…But Here! 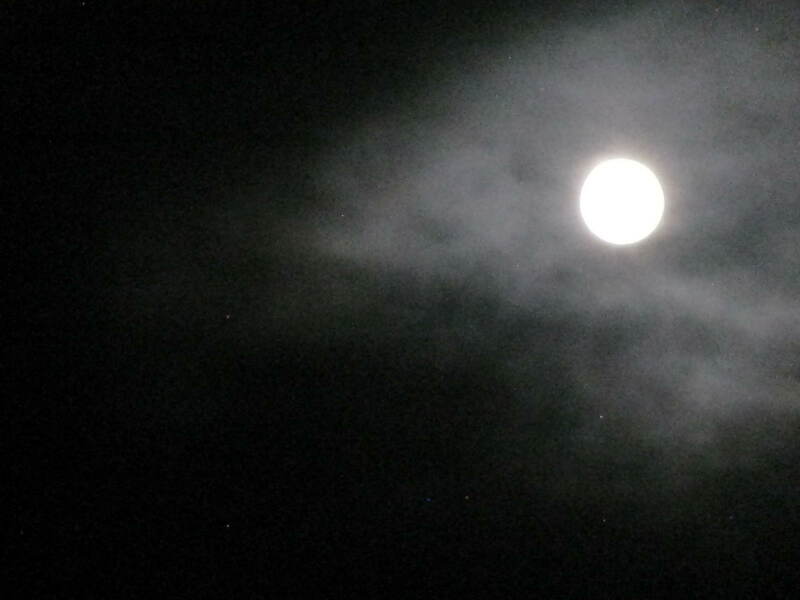 Last night’s full moon, August 10,2014, was the second in a series of three full super moons. 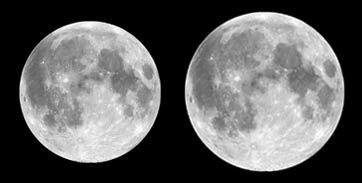 Another super moon will occur on September 9, 2014. The August 10th one was considered the brightest however as the distance from the Earth was 221,765 miles. As we learned in grade school, the average distance to the moon is 237,700 miles. What do Full Moons do to our ocean tides? The effect of a full Moon on our ocean tides is another topic In this case it’s all about gravity. During a full moon the gravitational pull can increase by 50% bringing with it very high tides! I wonder what effect this super moon might have on this weeks tides? The super moon is considered a “perigee moon”. The moon orbits the Earth in an ellipsis and perigee is the side of the path where the moon is the closest to us. Conversely the apogee is when the Moon is furthest away. Remember the scene in the movie “Bruce Almighty”, when Bruce, played by Jim Carrey, lassoed the moon and brought it closer as he sought to woo Jennifer Aniston? He created his own perigee Super Moon. More information concerning the apogee and perigee of the moon and their effects on tidal movements can be found at the Moon Connection sites referenced below. The Farmers Almanac is a good source of information concerning the moon. Farmers have planted and harvested to the phases of the moon for millenniums! One or two days after the date of the new Moon, we can see it in the western sky as a thin crescent setting just after sunset. Since the Moon has no light of its own but merely reflects sunlight, we see a full Moon rise in the east when the Sun is setting in the west. And the first quarter near noon. And the last quarter near midnight. Back to the subject of Ocean Tides. So guess what? It was cloudy and I couldn’t see the moon rise. That’s the best opportunity to see it in it’s full glory. I did snap a photo a week before the full and a fuzzy one from yesterday…check them out! 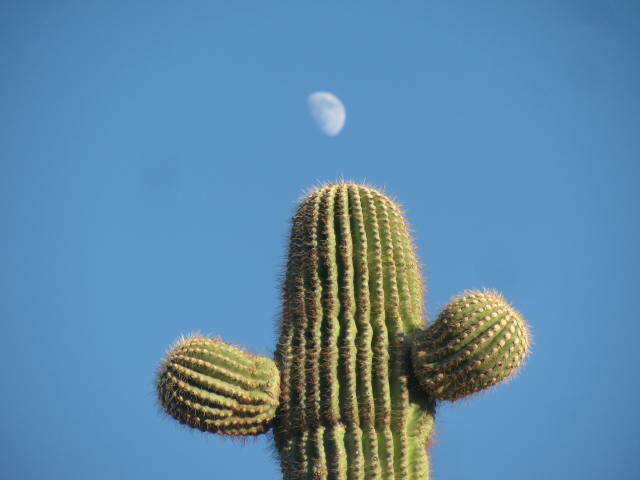 This entry was posted in Celestial Event, Clean air, Clear Skies, Environment, Super Moon and tagged Arizona, Central Arizona, Moon science, Nature. Bookmark the permalink.